That, there. What was that? Did you feel it? A ghost of a breath through the barren trees? A fingertip trailing across a mirror-like lake. Could it be? 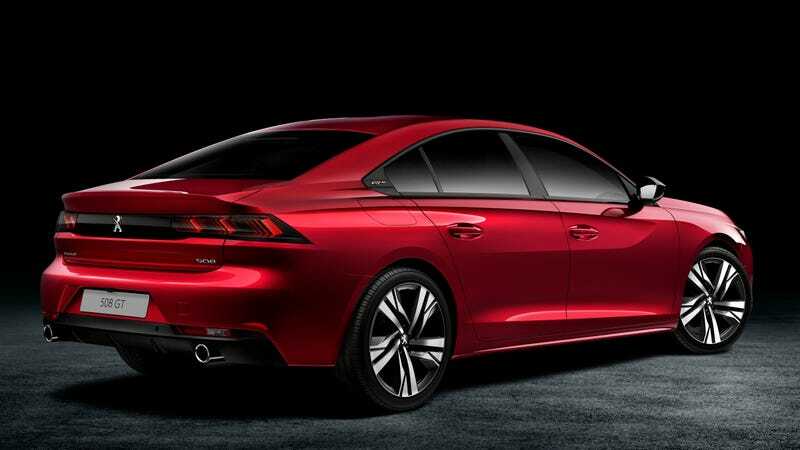 The 2018 Peugeot 508? Yes, I believe in fact it is. My soul died a little while back. I dragged it behind me by its hair for the remaining five miles and flung it somewhere on the abandoned railroad tracks by the creek. I haven’t seen it since—but this Peugeot gives me a flicker of hope that all might not be lost. The lines. The curves. The interior. A compact steering wheel. A 10-inch screen. A heads-up display! What is this warmth that is seeping to the tips of my fingers? Seriously, this is one of the best-looking modern interiors we’ve seen in some time. What about this fastback sedan is making me see color again? Perhaps it is its multi-link rear axle? Or the 1.6-liter gasoline engine that has either 177 or 217 horsepower? Perhaps it is the eight-speed automatic? It’s for sure the six-speed manual option. I thought my world had burned long ago. But from the ashes comes this Peugeot. This magnificent, French sedan that somehow makes everything a little more alright. I am praying to gods, both known and unknown, for the 508 to come stateside. We need this in our lives. Peugeot Citroën Is Coming Back To The U.S., So What Do They Make That We Actually Want?